Below you can view all the homes for sale in the Registry At Park Avenue subdivision located in Smyrna Georgia. 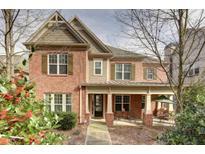 Listings in Registry At Park Avenue are updated daily from data we receive from the Atlanta multiple listing service. To learn more about any of these homes or to receive custom notifications when a new property is listed for sale in Registry At Park Avenue, give us a call at 404-998-4102. Community Features: Pool, Sidewalks, Greenspace For Playing And Cooking Out, Approx 5 Miles To The Battery/Suntrust Park. 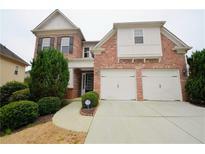 MLS#8562180. Keller Williams Rlty First Atl. Greenspace, Approx 5 Miles To The Battery/Suntrust Park. MLS#6535529. Keller Williams Rlty, First Atlanta. Professionally Landscaped Private Backyard W/ Patio - Perfect For Entertaining! Don'T Miss Out! MLS#6520277. Real Broker, Llc..